Orica have recently submitted a State Significant Development proposal worth over $50million for 2 warehouses to be constructed above the 5ha Detention Basin at Southlands (circled in red). This is the area called Banksmeadow Hollow, in reference to the suburb and the original wetlands (as desribed by Joseph Banks and early naturalists). 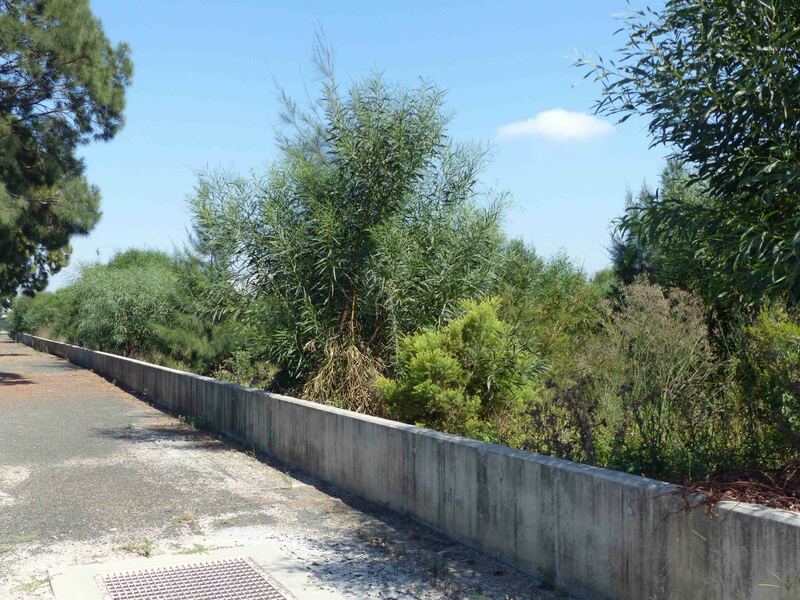 If the proposal goes ahead, ALL the vegetation established over the past 3 years, except for a narrow strip around the perimeter of the site, would be destroyed. When Southlands was approved under Part 3A in 2012, Orica was required to produce a landscape management plan to be approved by Council and the Department of Primary Industries. This is the plan that was finally approved in October 2013 It is not referenced on the Department of Planning and Environment webpage, nor is there a link to the original proposal. The landscaping of the Southlands Detention basin is a revegetation project not restoration. There is no remnant bushland and despite conditions requiring Orica to maintain the site free of noxious weeds, they are evident. Notwithstanding, there has been considerable growth of native species over the past few years (see photos from 2016 and 2019 – see below) and the potential is there to improve local biodiversity and abundance further. 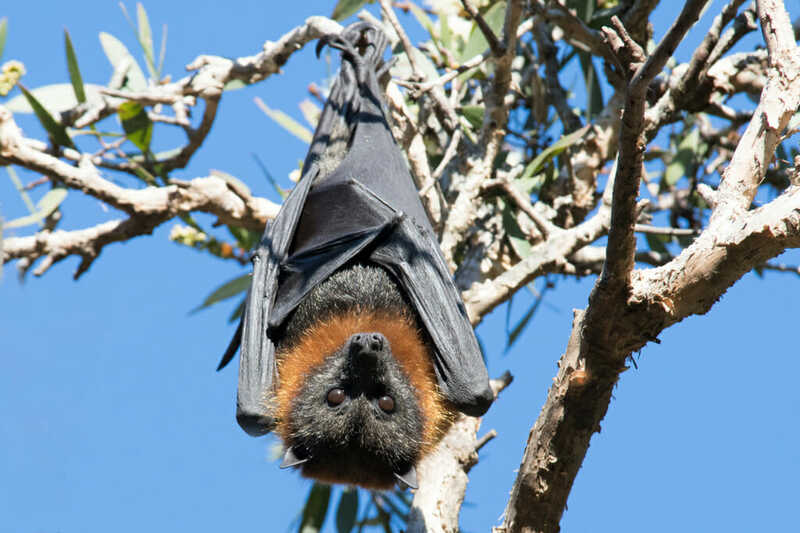 Grey Headed Flying Fox colonies are nearby at Centennial Park and Wolli Creek. The community have in good faith been involved with Orica on Southlands since 2006 as part of the ongoing remediation of the Botany Aquifer and Orica sites at the Botany Industrial Park. 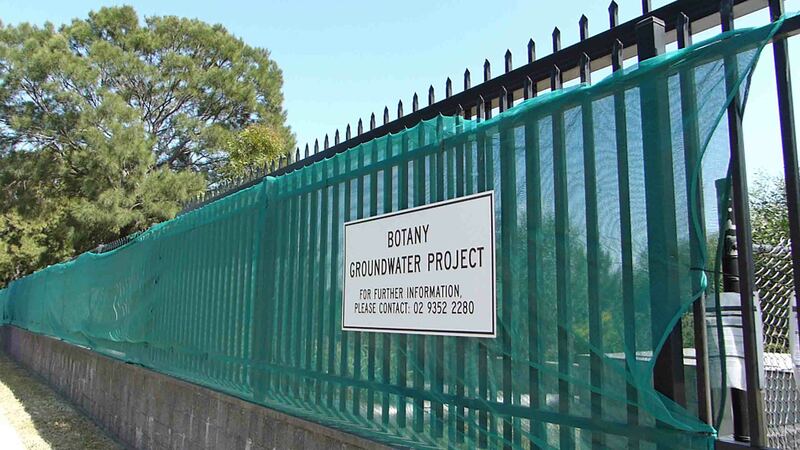 The primary containment line for ensuring contamination does not enter Botany Bay is located on the Southlands site. The improved revegetation of the Detention Basin for habitat was a very small environmental ‘offset’ for the damage done by Orica over many decades and for contamination legacies, eg. 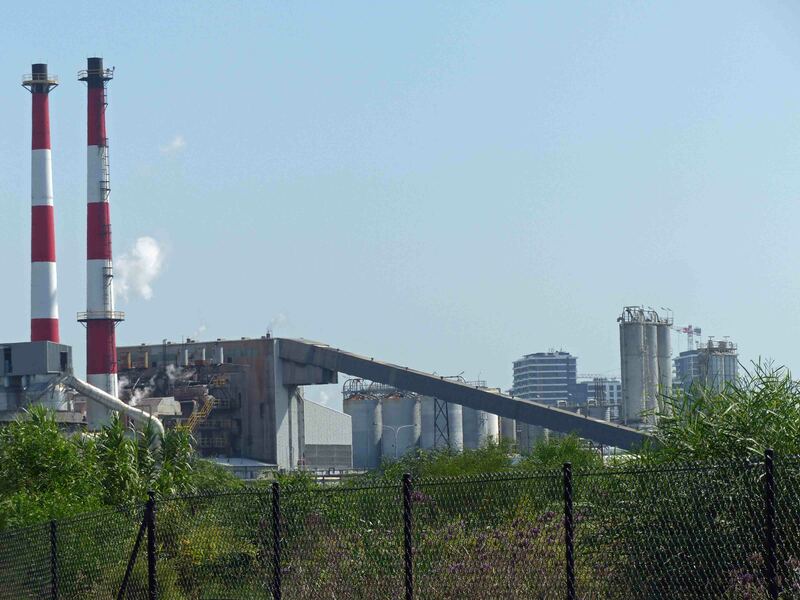 stockpile of HCB waste, mercury containment at the Botany Industrial Park, the clean up of the carpark waste and the contamination of the aquifer and loss of access to bore water. Well known ecologist Doug Benson provided input into the Landscape Plan to ensure it better reflected the range of native species originally on the site (pictured left at the site in 2012). Mr Benson is an expert on the original vegetation of the area – Extract from Benson & Howell book on original vegetation in Sydney. 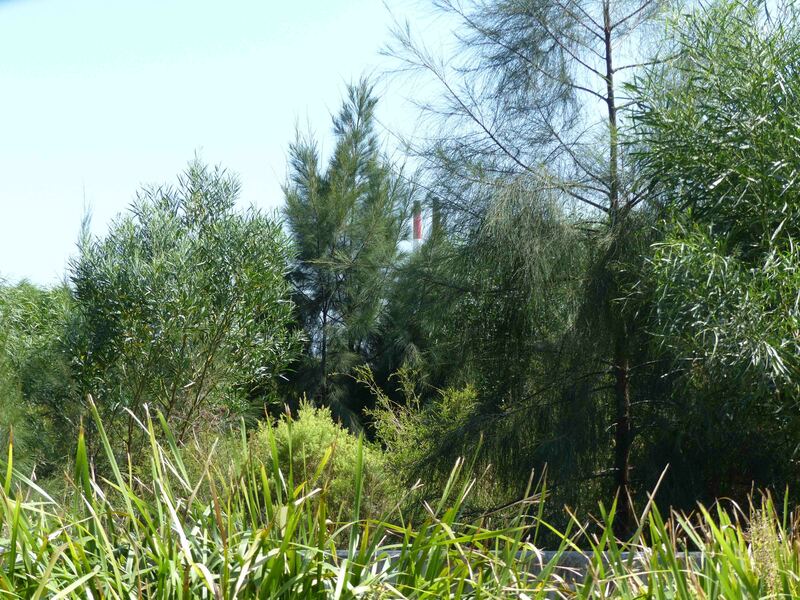 On the recommendation of a community member, Mr Doug Benson, Senior Plant Ecologist from the Royal Botanic Gardens & Domain Trust, was invited to provide comment on the draft landscaping approach for the project. The landscaping plan incorporates feedback from Mr Benson and was approved by DPI and the then City of Botany Bay Council. Orica adopted a recommendation to provide habitat ponds for the Green and Golden Bell Frog, which was once observed at the site but has not been found in more recent surveys. Consultation on Southlands commenced in 2006. As part of Conditions of Consent Orica was required to contribute $3,543,214 to Botany Bay Council for provision of infrastructure within the Botany area – see Determination Unfortunately none of that money was spent around the the Orica site where residents are directly impacted. For example, a cycleway from the Meriton site at Eastgardens to Botany Bay beaches such as Yarra Bay and connecting with Foreshore cycleway (offset for loss of Foreshore Beach) would have been a valuable asset. 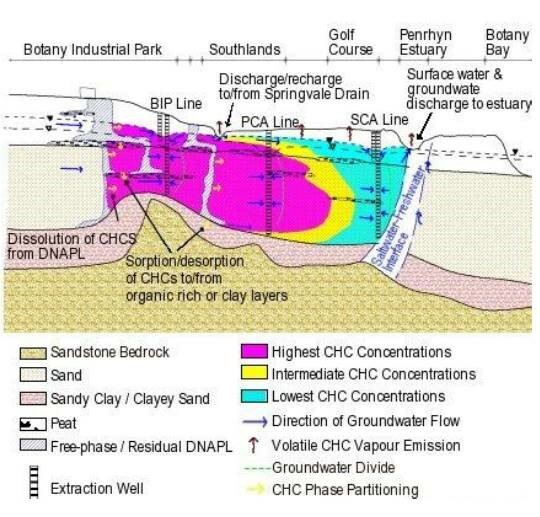 It may also have been appropriate for Botany Bay Council to have taken on management of the site (as has been done by Randwick Council for Orora’s Purcell Park) or for Sydney Water to manage the site as occurred at the Chullora Wetlands. The existing, approved development scheme includes a large area of flood detention in the north of the site and two frog ponds providing offset habitat for the Green and Golden Bell Frog on the eastern boundary of the site. 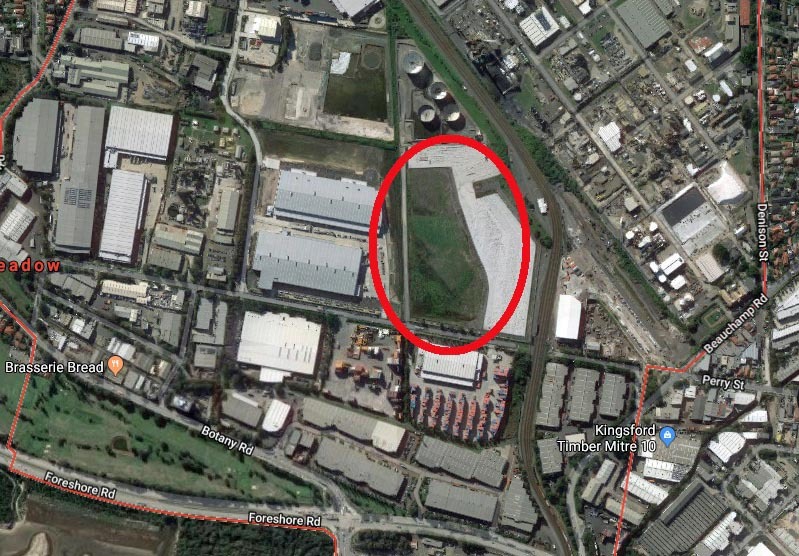 It is understood that detailed hydrological investigations were undertaken in respect of the proposed development of the broader Southlands Site and it was determined that the northern portion of the subject site would be set aside for compensatory flood detention. The proposed modified development recognises this constraint and does not propose to alter the approved compensatory flood detention area. Further, as the two frog ponds providing offset habitat for the Green and Golden Bell Frog were committed as part of the assessment of the broader development, these ponds remain as approved under the proposed modification. Fact Sheet Updated April 2015 available at http://www.orica.com/Botany states that Orica will retain ownership of Lots 9, 10 and 11, with a large portion of the eastern side (Lot 9) being an open space area providing compensatory flood storage benefiting the local area. This area will be landscaped in accordance with a plan developed with community input and approved by DPI and the City of Botany Bay Council. Lots 10 and 11 house the infrastructure (i.e. groundwater monitoring and extraction wells and associated pipework) required for Orica’s ongoing Botany Groundwater Cleanup Project. COMMUNITY CONSULTATION Orica began holding community workshops on the Southlands Development Project in mid 2006, with the project being introduced as one of the topics during two community briefings that provided an overview and update on the Botany Transformation Projects. Orica held subsequent community consultation workshops in 2007 and 2009 during development of the project to provide an opportunity for the community to participate in detailed discussions that focused on a particular issue or topic. Workshop information is available on request. 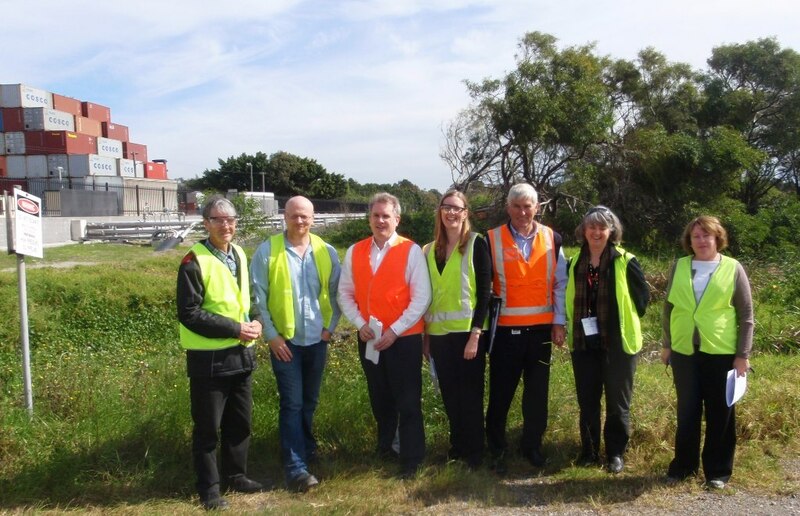 Between 2010 and 2016 project updates were provided at Community Liaison Committee (CLC) and Orica Botany Liaison Committee meetings. 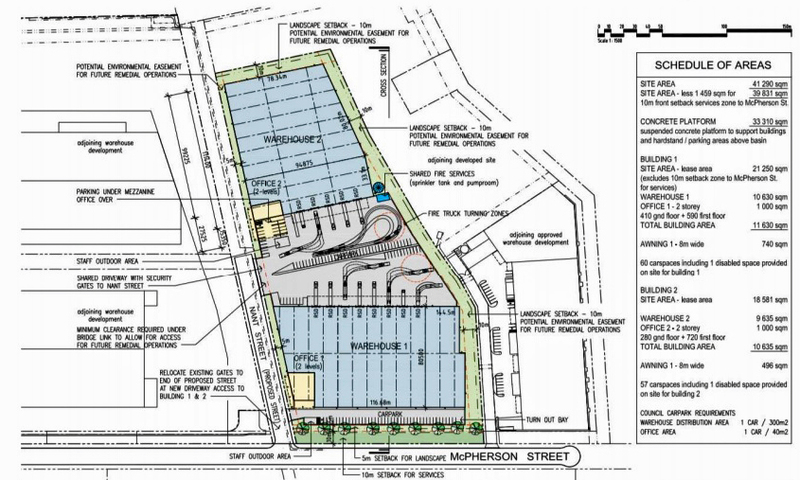 On 18 May 2018, the Applicant met with Bayside Council to discuss the proposed development including environmental impacts that would need to be addressed as part of the EIS. In May 2018, the Applicant met with representatives from DPE to discuss the proposed development and procedures relating to the assessment of SSD applications. On 20 November 2018, the Applicant is scheduled to engage with the Orica Botany Liaison Committee meeting. Orica will also share information of the proposal via a community newsletter scheduled for December. 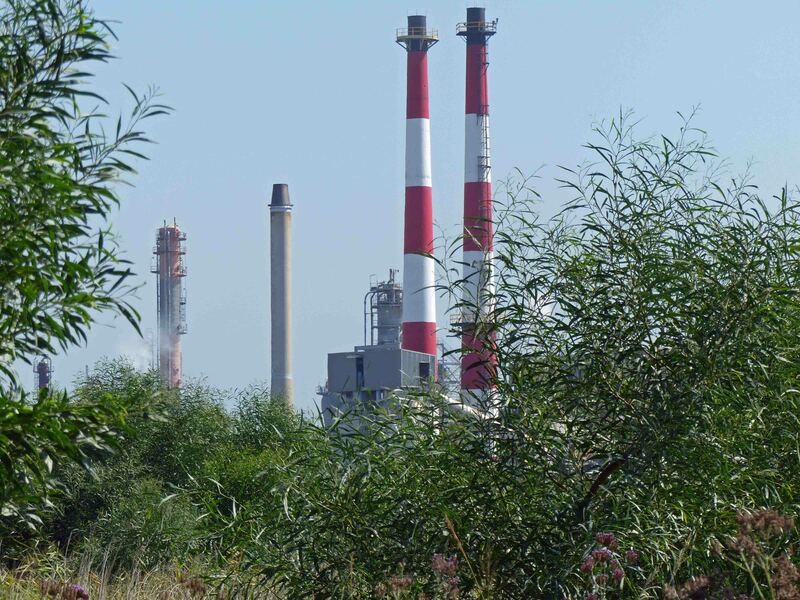 Further to the above, the Applicant is currently in the process of arranging a meeting with the Environment Protection Authority (EPA) to discuss the proposal. Lot 9 is a component of the Southlands project designed as a compensatory flood basin to ensure no flooding on neighbouring properties. Orica is embarking on looking at potential reuse while retaining flood capacity. The area has been revegetated for stabilisation. Approximately 70% is grassed and 30% landscaped. Orica is looking at a suspended deck with new warehousing on top. The proposal enables continued access for Orica to pursue new technologies that may emerge for the groundwater cleanup. Access from McPherson Street rather than Nant Street is being investigated. It would be fully fenced with a capping layer to stop potential for asbestos issues. Orica doesn’t propose to develop the site itself, that would be responsibility of the purchaser. It can only be used if flood capacity is maintained. QUESTION: whether the capping layer over the 70% grass and 30% landscape would eliminate all greenery. 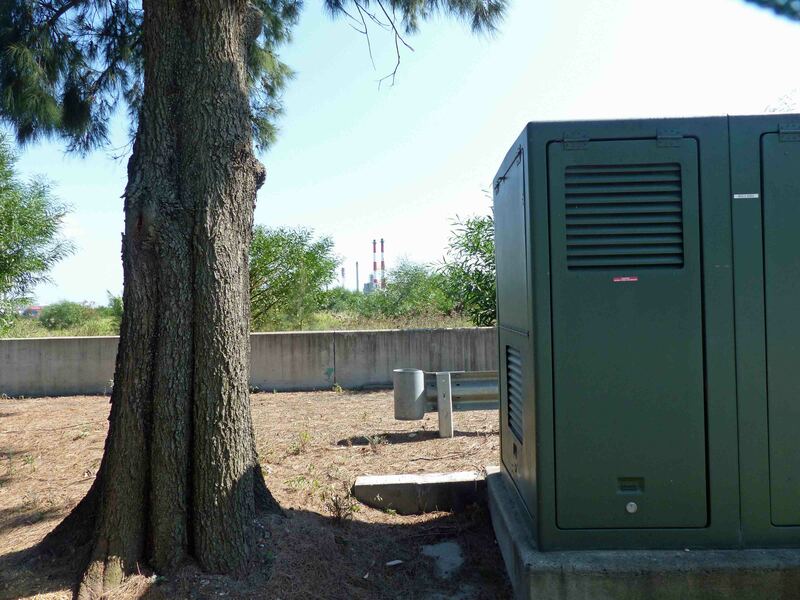 ANSWER: there would be greenery around the perimeter. Request for Assessment (Keylan Consulting) from the NSW Department of Planning and Environment SEARS (GUIDELINES TO Secretary’s Environmental Assessment Requirements) for Orica’s proposal to build warehouse 1.5 metres above the Southlands Detention Basin – see link to responses from agencies including comprehensive response from Bayside Council. Preliminary Flood Assessment(BMT) …… Preliminary Traffic Study (Traffix)…..”Conclusions: In summary, in order to appropriately assess the site it is recommended an assessment of the existing traffic conditions and future traffic conditions, post development be undertaken.” Site Auditor (Chris Jewell)…… Risk Assessment(SHERPA)…..
HISTORY OF THE SITE Pre 1950’s Originally part of the Botany Wetlands, which were drained to allow peat cutting. Then primarily used as market gardens. Primarily used for the extraction of groundwater for paper manufacturing purposes. 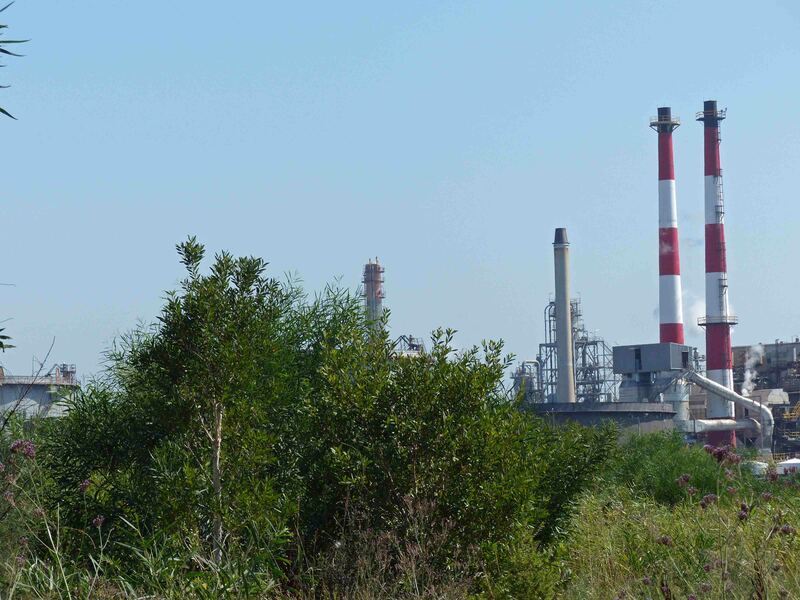 In 1980, Orica purchased the site from APM. The site has been used by Orica to conduct bioremediation trials of contaminated groundwater. The Primary Containment Area for the Botany Groundwater Cleanup Project is installed along the Southlands McPherson Street boundary. This entry was posted in Uncategorized and tagged Orica, Plans, Southlands. Bookmark the permalink. Is the ‘Cruise Ships for La Perouse’ Business Case likely to stack up?